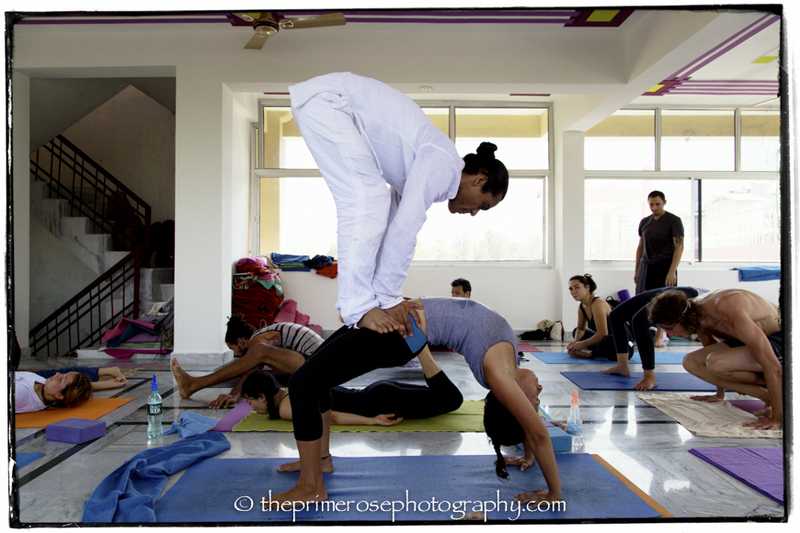 Wednesday, May 8: a month in Rishikesh, India, is almost over! The intensity of my ashtanga yoga practice with Kamal Singh has been on a crescendo for 3 weeks, with a taste of new postures – such as yoganidrasana – and ‘special’ adjustments that have given to it a different touch every day. And than, end of last week, things occurred shifting me from a light and energetic state to one of feeling extremely tired and weak: I had a tight daily schedule outside the yoga shala for 3 days in a row! Every day now the weather is hotter and hotter, and, when lucky, there is a breeze as warm as the air coming out of a phon put on the max heat! So, 6 Mysore practices in a row (Kamal almost never leads a class and when he does it, he does it only partially and you never know when he does) last week and all the rest going on just absorbed all my energies. It has taken 3 days of complete rest apart from practice (I did it anyway just because I’m stubborn and this is my last week of practice here in Rishikesh) to get this morning to a state where my car is not running on a red petrol signal again and, finally, this morning I could enjoy again the yoga practice! What are the lessons I learned from that? How to avoid the risks of overdoing? 3: If needed, don’t be afraid to take a day off for some extra relax. If you do all that, strength and energy won’t get strained, and notwithstanding a few times you can feel on a low side, that won’t last long: a good night sleep and it will be over! This entry was posted in Ashtanga Yoga and tagged asana practice, ashtanga, Ashtanga yoga, daily yoga practice, incredible india, India, Indian culture, overdoing, Rishikesh, risk of overdoing, Rosa Tagliafierro, sustainable yoga practice, Tattva Yogashala, travelling to India, yoga, yoga practice, Yogi Kamal Singh. Bookmark the permalink.